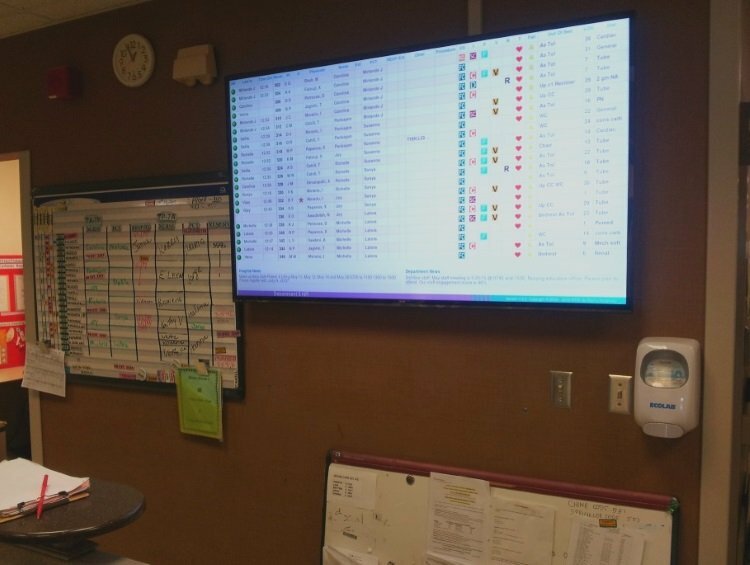 MTR® Electronic Whiteboards for hospitals and other healthcare facilities boost teamwork, improve communication between hospital staff, and reduce never-events. Show the data that matters, when it matters. MTR® Electronic Whiteboards let you enter patient data once and it automatically updates all MTR® displays, everywhere. Shift changes, assignments, and rounding status update automatically throughout the system. Information shown is dependent on team requirements and customized by the team to have the look and feel that works for them. Flexible options allow users to choose views and data on the device they want to use. 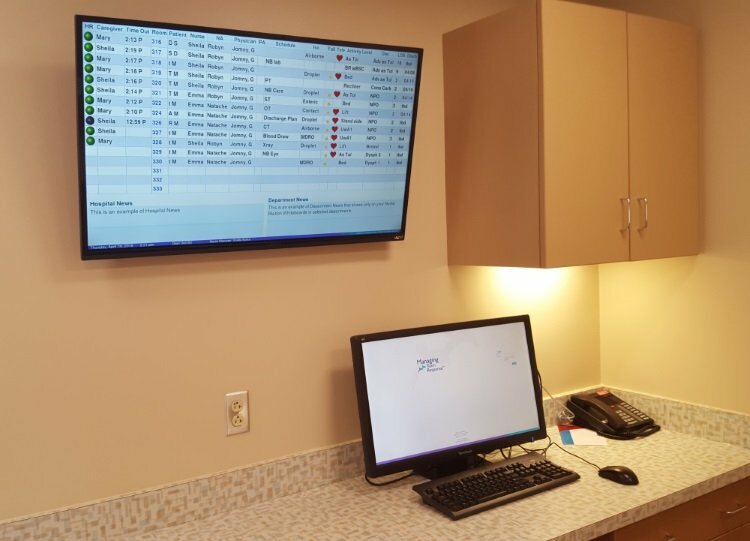 Your nursing team and other staff see rounding status, assignments, and high level patient data in private on existing hospital workstations, while public facing views can show the same information in a HIPAA compliant way on large electronic displays at the Nursing Station or throughout the unit. 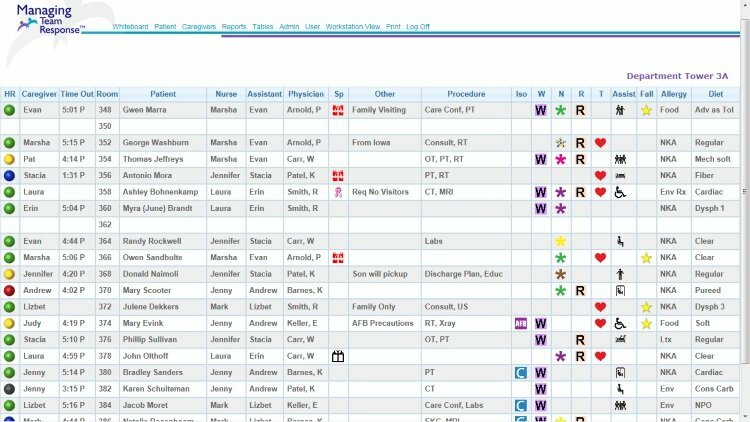 The use of icons, abbreviations, or descriptions depend on where the data is being displayed, and patient names can be shown, hidden, or disguised per your hospital's standards. MTR® Whiteboards can be displayed with rounding or be rounding only. 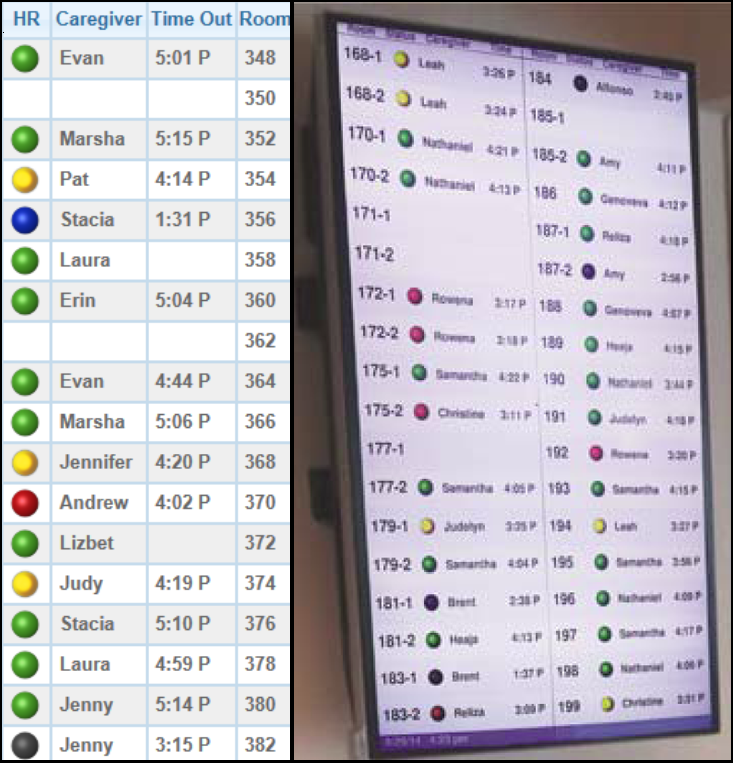 Highly visible, easy to read, and silent care team rounding cues reduce stress and alarm fatigue and save time for staff. Purposeful rounding with MTR® Automated Hourly Rounding means your team can stop worrying about the “hour” and focus on the patient. Credit for patient time is automatic, so no more end of bed logs either! Managers can view assignments, rounding information, and key risk and safety data for individual departments or the whole hospital at once without ever having to leave their desk. 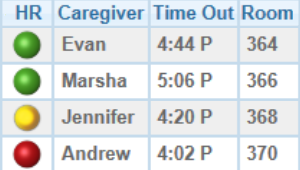 Quick reports can verify rounding when a patient or family member is concerned. Team leaders can easily assess real time status of rounding at a glance. Trends can help with a truer understanding of patients’ needs and acuity level for future assignments. No more pages and pages of screens and paperwork to update just to share a small amount of information. 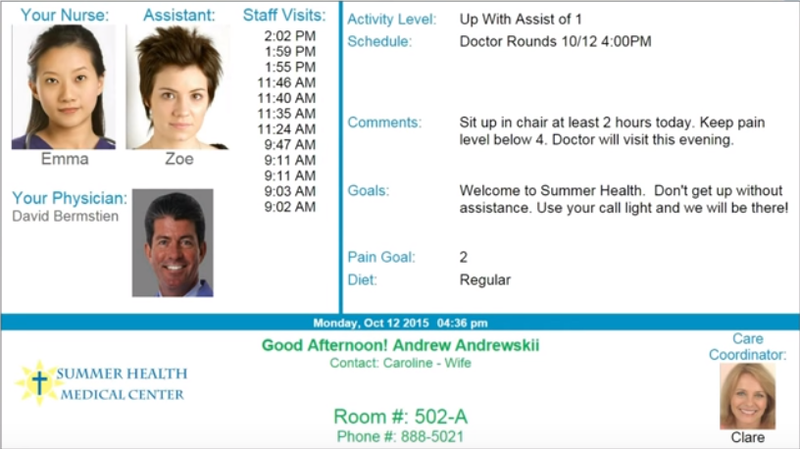 Software is designed BY and FOR healthcare professionals to be easy and efficient. 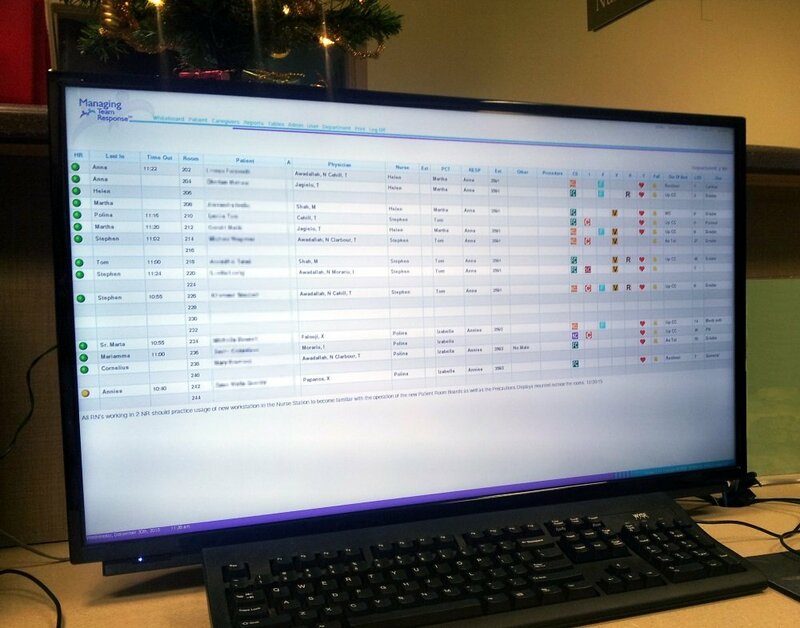 MTR® software can connect to your existing EMR for fast and reliable, continuous updates.